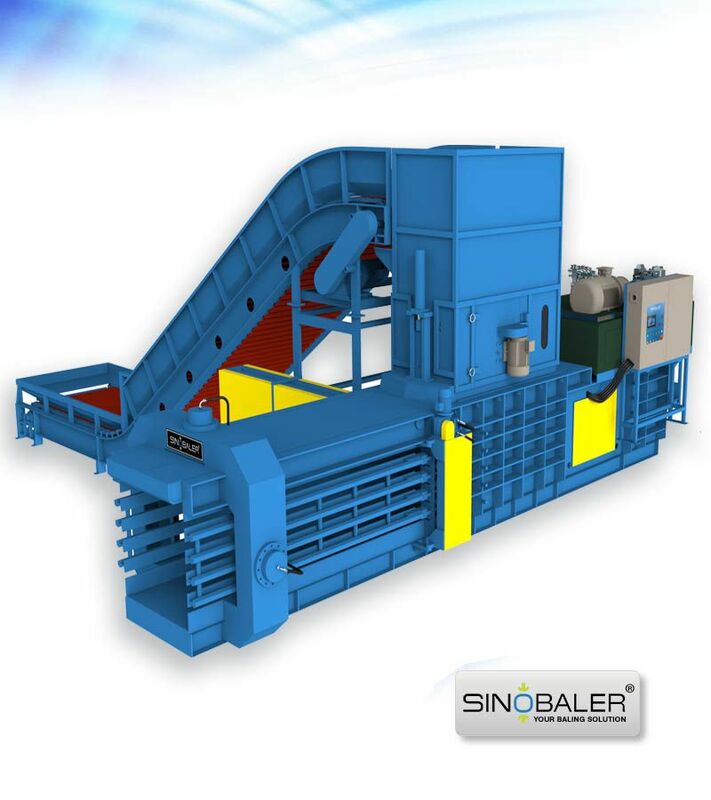 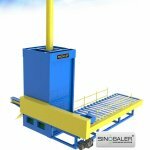 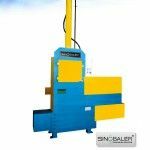 Sinobaler’s fully automatic horizontal baler, ranging from 20 tons to 120 tons pressure force, has a processing power of up to 15 tons per hour. 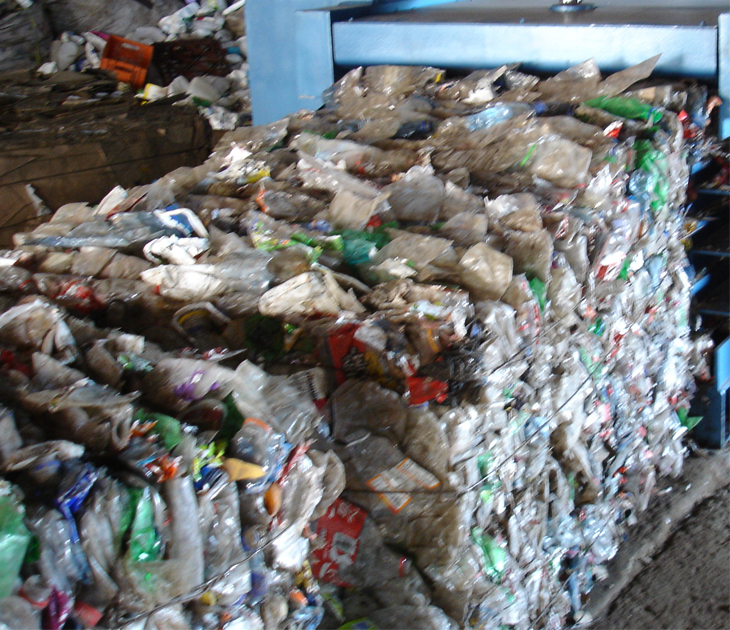 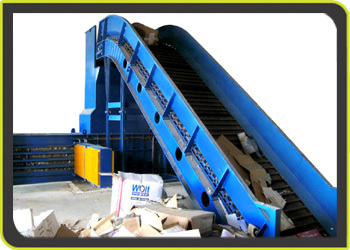 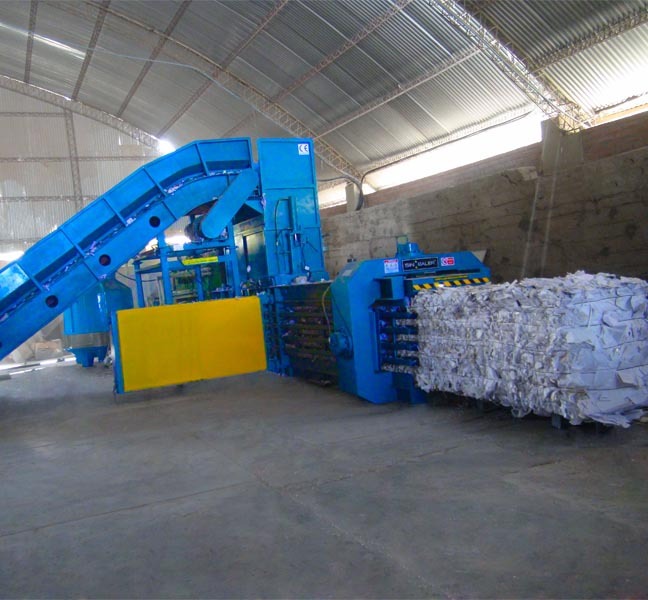 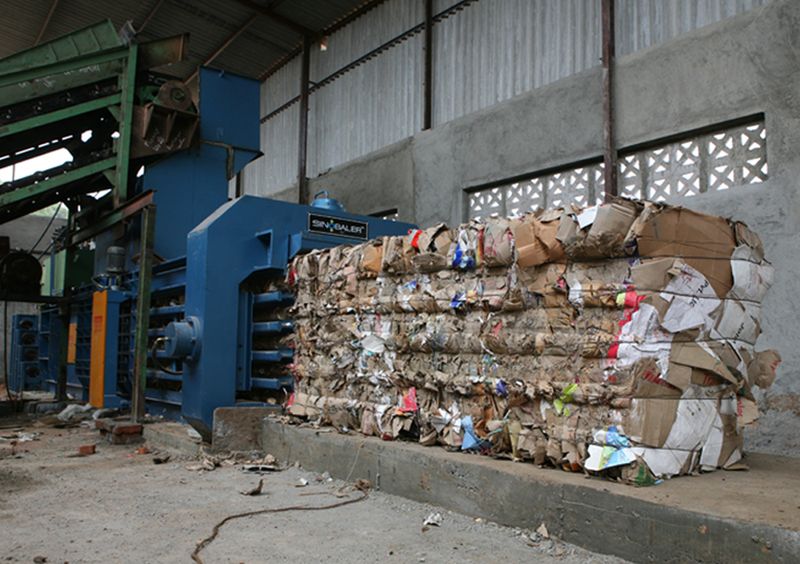 It is perfect for recyclers handling large daily amount of soft waste such as cardboard/OCC (popular as cardboard baler or OCC baler), paper, plastic film, natural fiber, textile waste, soft plastic package, etc. 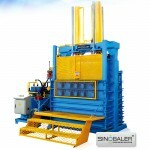 This fully automatic baling machine is also our flagship line of horizontal open end baling machines. 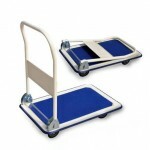 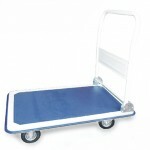 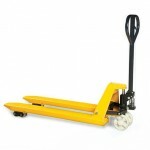 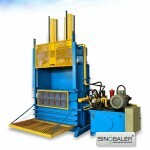 It combines advanced computer controlled operations with reliable hydraulics and seamless heavy duty frame construction. 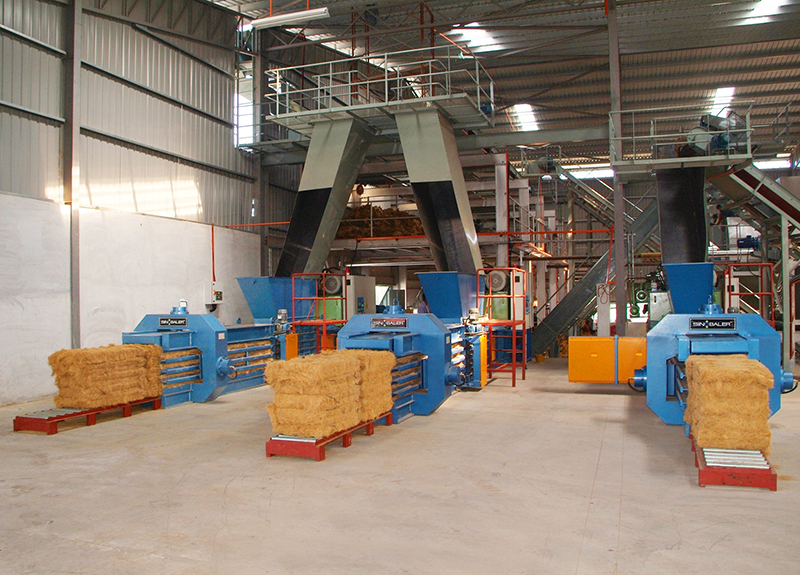 Troubleshooting of this automatic line baling machine can be controlled from the Mitsubishi PLC, and with Remote Control on PLC system, we are able to extend our technical assistance no matter where the machines are. 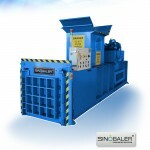 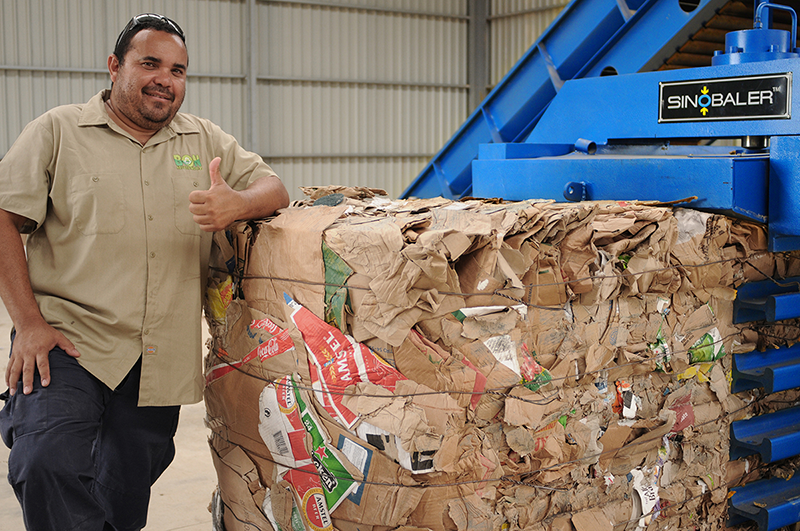 All of these advanced features do not get in the way of operation – this is very simple baling machine to run. 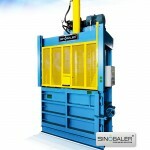 Bale weight and length of this auto-tie horizontal baler can be programmed and controlled through a easy-to-use touch screen panel according to your specific transportation arrangement, making it ideal to maximize your container loading. 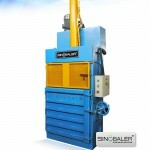 For example, SHBA2-1200 model horizontal baling press, is able to produce super dense rectangular bale up to 1200kg each, with bale size up to 2300mm x 1100mm x 1100mm. 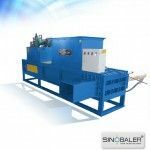 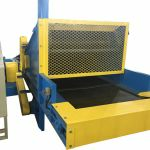 You can load up to 26 tons of OCC bales produced by this machine into a 40’HQ container without the need to turn the bales around from one side to another. 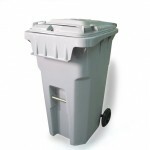 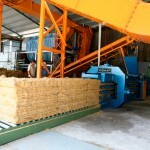 Also rectangular bale is much easier for storage and transportation compared to round bale. 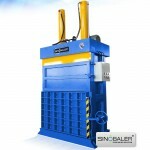 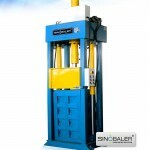 The SHBA2 series automatic horizontal baling machine conforms to the highest safety standards (CE compliance). 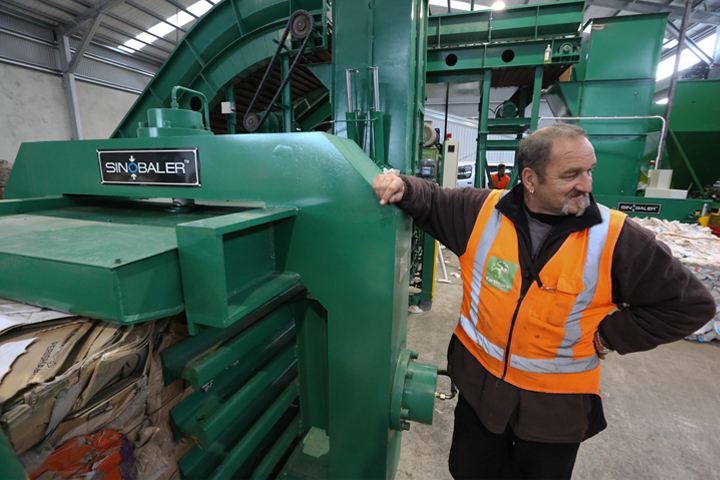 The adoption of Safety Interlocking keeps your operators out of harm and meanwhile safeguards the baling machine from damaging itself. 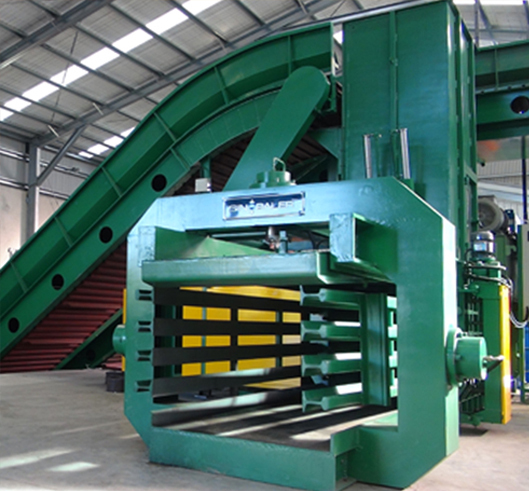 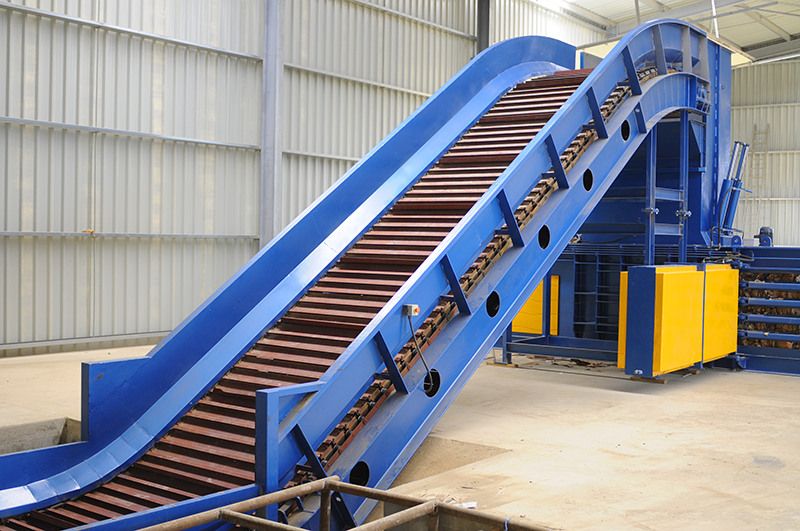 If you’re managing daily container loads of soft recyclable waste, the SHBA2 Series automatic horizontal baling press machine is the right choice for you. 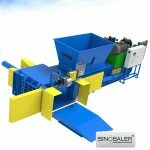 See how this fully automatic horizontal baler is working with shredders and granulators, view more information from RDF process. 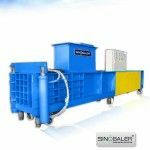 Choose from our various baling machine models below or contact us for a customized baling solution to fit your specific need. 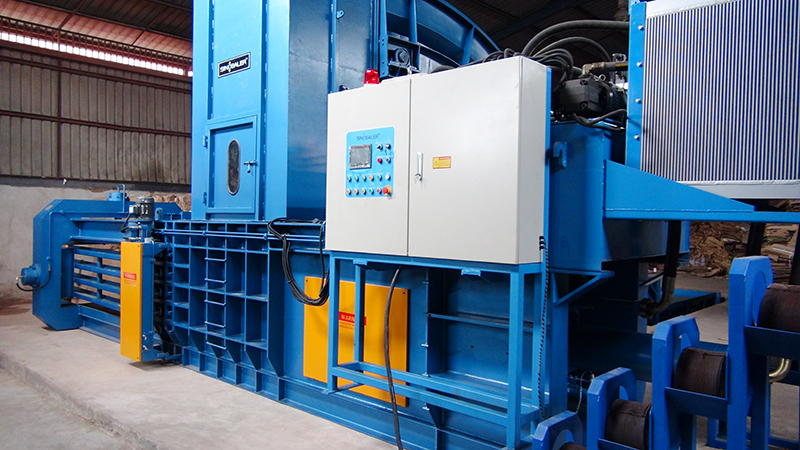 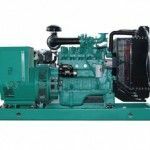 for cooling down the temperature of the hydraulic oil, which protects the machine in high ambient temperature. 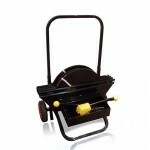 Either air-cooling or water-cooling is available. 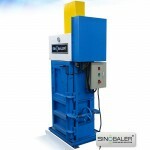 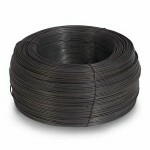 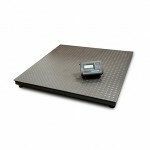 for meeting different bale size/weight requirements. 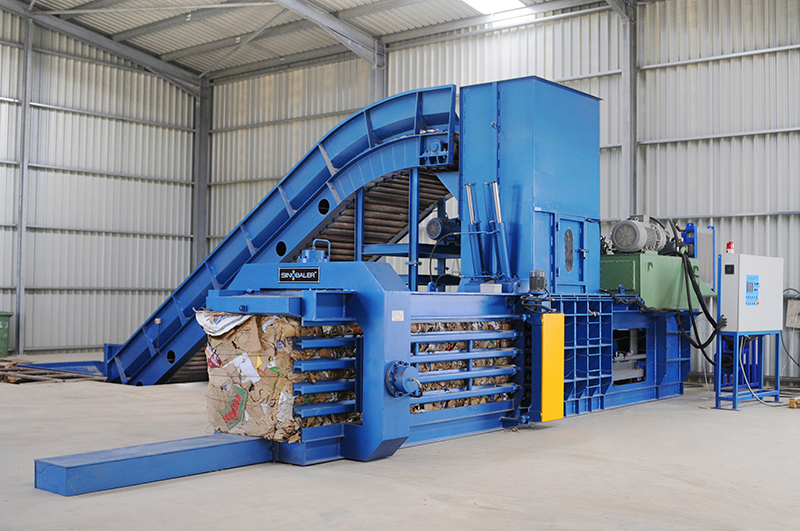 makes compressing, strapping, cutting wires, and bale ejecting as a continuous process, facilitating operation convenience & efficiency. 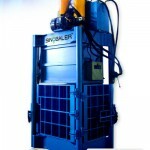 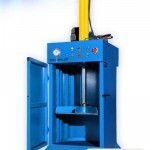 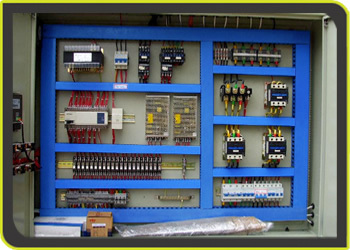 enables automatic compressing, strapping, wire cutting, and bale ejecting. 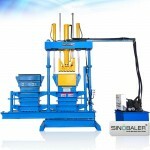 This is a very efficient machine in terms of labor. 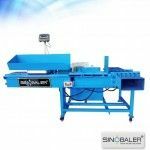 for cutting off the excessive material to prevent it from being stuck at the feeding mouth.